What motivated the changes that previous speakers have noted in the archaeological record when the Israelites emerged in the central hill countr of Canaan? What were the reasons behind the emergence? Did religion play a part? Bill Dever candidly admitted that archaeology couldn’t provide an answer to this question. So it’s quite a challenge for our last speaker to deal with the question of religion—the origin of the Israelite religion and how religion affected this emerging people, Israel. I don’t think we could have gotten anyone better in the entire world to explore this difficult aspect of our subject today than Kyle McCarter. Kyle also received his Ph.D. from Harvard. He is one of the broadest, most eclectic biblical scholars I know. He can deal with so many different aspects of the discipline—from archaeology to ancient languages to inscriptions to the biblical text itself. He is the author of the two-volume commentary on Samuel in the Anchor Bible series. He is a past president of the American Schools of Oriental Research. He presently holds the chair—I wonder how he feels when he wakes up in the morning knowing the title of his chair—the William Foxwell Albright chair at the Johns Hopkins University. 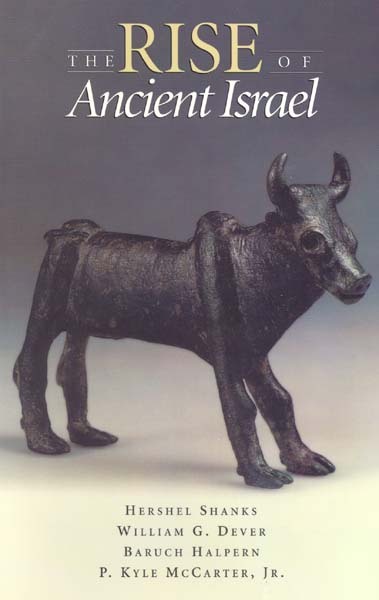 Albright was of course the doyen of biblical archaeologists of an earlier generation. Kyle is the William Foxwell Albright Professor of Biblical and Ancient Near Eastern Studies. It’s a pleasure to introduce to you my friend Kyle McCarter.—H.S.